Washington D.C. [USA], Mar 19 (ANI): American singer Ariana Grande kicked off her ‘Sweetener’ tour last night on a sentimental note. 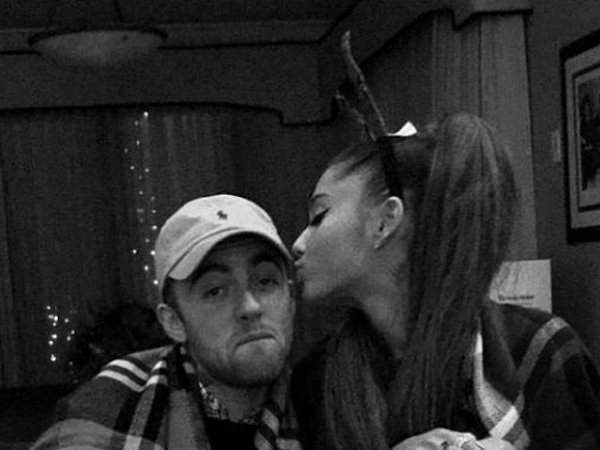 The singer honoured her late ex-boyfriend and rapper Mac Miller. The 25-year-old singer commenced her tour in Albany, New York on Monday night, reported E! News. Moments before the show at the Times Union Centre, many fans present at the concert shared on social media that some of Miller’s songs were played in the background as the crowd eagerly waited for Grande to take the stage. Grande has previously paid tribute to her ex-boyfriend at a number of occasions ever since his sudden death. For instance, about two months after Miller’s demise, she covered up a tattoo that pertained to her ex-fiancé Pete Davidson with one about Miller. The tattoo on her foot was changed from ‘8418’, which was Davidson's father's FDNY badge number, to one dedicated to Miller’s dog named Myron. She even got a new tattoo on the eve of her big show and explained she wasn't covering up another Davidson-related tattoo but rather she was "just evolvin." One of her most heart-touching tributes to her ex-beau was in her hit single ‘Thank U, Next’, which later became the title of her recent album. She sings in the first verse of the song, "Even almost got married/And for Pete, I'm so thankful/ Wish I could say, "Thank you" to Malcolm/ 'Cause he was an angel." According to many of her fans, a large number of her songs including ‘Imagine’ refer to Miller and their relationship. Grande, who skipped the 2019 Grammys following a disagreement with the show’s producer Ken Ehrlich, won her first-ever award for the best pop vocal album for ‘Sweetener.’ However, she still got dressed up in a stunning baby blue gown that made her look like something straight out of a fairytale. Miller had a sung a track titled ‘Cinderella’ and she seems to refer to some of those lyrics in a few of her own songs in her album called ‘Sweetener’. The late rapper was posthumously nominated for his first ever Grammy this year for his final studio album ‘Swimming’ in the Best Rap Album category, although he lost to Cardi B.
Grande, who seemed upset over Miller losing the Grammy award, had a very strong reaction to the same. However, she later apologised and explained herself. Grande tweeted and deleted a number of tweets, including ones that said "f--k" and "literal bulls--t."
She later clarified that the tweets weren't about Cardi winning, but about Miller's mom Karen Meyers, who flew out for the awards show. After receiving the award, Cardi posted a video on Instagram, celebrating her victory by thanking various people for loving and supporting her. While she mentioned many people, she honoured the late rapper by stating that she is sharing the award with Miller. "I'm sharing this Grammy with you motherf--ker!!!" she exclaimed in the post.